I bet you won’t be able to read this article without digging deep down into your pockets to check if you are lucky enough to have one of these coins. Did you know that the small change sitting in your pocket could potentially be worth thousands of dollars? If you are like most of us, the answer is probably “no.” Don’t worry, you’re in very good company. The majority of people in the United States and Britain are completely unaware that the pennies, dimes, nickels and quarters that they put into their pockets each day. Could potentially be worth a lot of cash. After reading through this article, you will be one of the very few such informed individuals. Consider yourself extremely lucky! Now, don’t simply sit on this new found knowledge. Start digging through your pockets, (all of them) and see if they contain some of the most valuable coins in America. Even just one coin could be profitable. Most of the coins we have listed below are valuable because they have errors or die varieties. They are visually distinguishable from other coins, but more often than not, the difference are not easily visible with the naked eye. In order to properly inspect these coins, it will be necessary to have the right equipment for the job. A 6x power magnifier (or greater) will be required. Well, without further ado, let’s get started. Mini Glossary of Terms Die – a coin die is a hardened metal stamp used to strike images into coins, it is the reverse image of the coin. 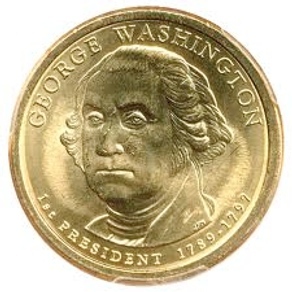 Mint Mark – A mint mark is an inscription on a coin indicating the mint where the coin was produced. 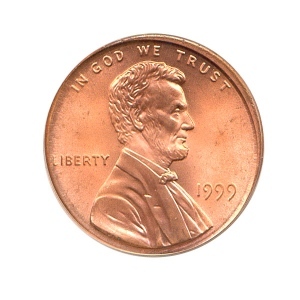 Reverse – The reverse is the back, bottom, or “tails” side of a coin. This particular coin is worth roughly $35,000. It is possible to get even more for it. Valuable because of its rarity and also due to the entire obverse being doubled. The one exception is the mint mark. People in possession of this coin will be able to unload for considerably more than its face value. Make sure you look closely! If you have one of these coins in your pocket then take it out and pay extremely close attention to the lettering. If it looks like it’s been stamped twice or the lettering looks raised then you’ve got yourself an extremely valuable coin. Good luck. Here is another valuable, doubled die obverse coin. 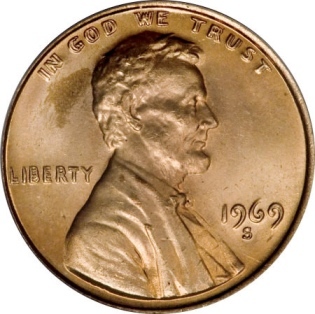 Similar to the 1969-S Lincoln Cent with doubled die obverse, this one is worth far less money. The coin is only doubled on one side. To determine whether or not you have one of these coins. Take a good, hard look at the doubling of the words IN GOD WE TRUST and the letters, LIB. An authentic coin of this type can fetch you $3,000 at auction or from a dealer. Again, closely inspect the lettering on the coin’s observe, if you have one of the rare versions of this coin then lettering will look like it’s almost overlapping itself. 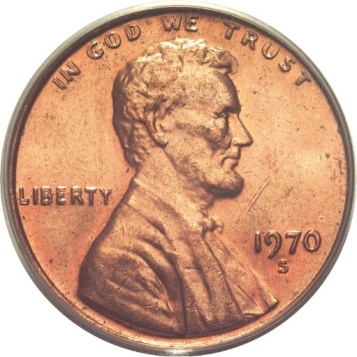 All of the elements on this 1972 Lincoln Cent are doubled. 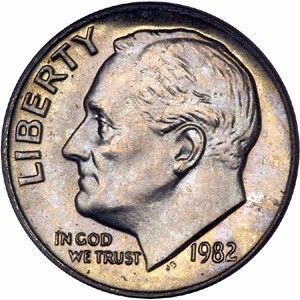 In order to determine whether or not a coin is authentic, look for a die marker above the letter D in the word United. For those unfamiliar with the term, die marker, it is simply a crack or gouge characteristic of a particular die. An authentic coin of this type can fetch about $500. 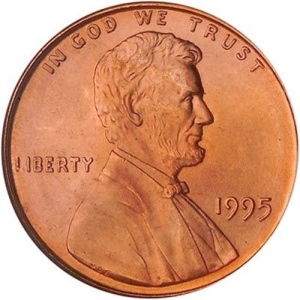 As with the previous two Lincoln cents, check the coin’s observe for doubling of the lettering, it will look the writing on the coin has a outline. It’s relatively straight forward to check if you have a valuable version of this coin. Just take a close look at the Sweet corn Cob and if there is any leaves hanging downwards on the left then you have a rare coin on your hands. This coin may also be dated, 1998, 1999 and 2000. The most difficult ones to find are those marked 1999. There is greater than normal distance between the letters AM in the word, AMERICA. This particular coin isn’t as valuable as others on this list, but its sill more valuable than one cent. Individuals can expect to receive anywhere from $5 to $600 for it. 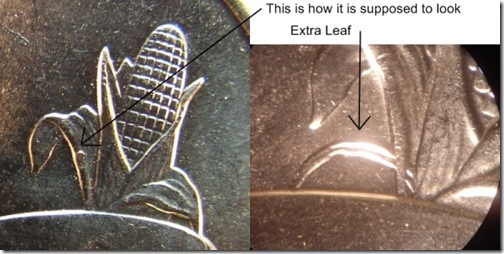 This is another simple coin to spot, put away you microscope and science kit. Just look at the spacing between the A and M in America on the top of the coin’s reverse. If the gap is larger than usual then you can reap anything from $5 to $600 for the coin! These rare dimes claim their value by not having the mint mark letter. Way back when coins like these would have an specific mint letter. Meaning dimes from Philadelphia would have the letter P minted onto the coin and so on. So if you find a 1983 Roosevelt Dime missing the mint mark then you could cash in up to $50 per coin. How To Check As you can see on the observe of the coin, just below Roosevelt’s neck you can see a small mark which says ‘JS’ which is the the coin’s mint mark. 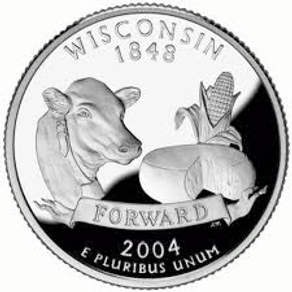 If you have a version of this coin without this mint mark then you could pocket up to $50. For some extra trivia, some say the JS stands for Josef Stalin as Roosevelt had close relations with the communist leader of Russia. The US official line was that it was the initials of the designer John Sinnock. Dollars with this particular error have missing lettering, no lettering at all or duplicated lettering. The latter two are the most valuable. Presidential dollars with edge lettering errors can be worth as much as $3000 and as little as $50. How To Check Rifle through your pockets and if you find one of these coins, check the etching of the letters on the edge of the coin. If you see any errors then you’re in possession of an extremely precious coin, which can fetch up to $3000. This particular coin will have doubling of one word and one phrase, LIBERTY and IN GOD WE TRUST, respectively. 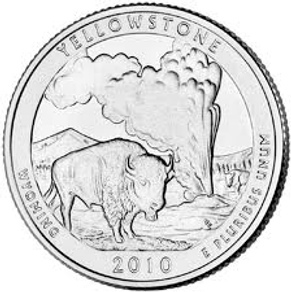 Individuals that have this coin can sell it for between $20 and $50 if they are in un-circulated condition. Not every state’s, un-circulated quarters are valuable but some of them are. A roll of them from a popular state can fetch as much as $50. 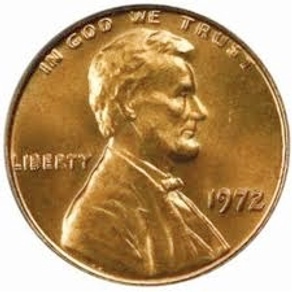 The un-circulated coins that are amongst the most popular include Illinois, Georgia, Tennessee and Connecticut. How To Check These are much harder to detect as you can’t tell if a coin is uncirculated without referencing, I suggest checking quarters by searching for them online, any coins that seem quite old could potentially be uncirculated coinage. 10. Silver Half Dollars – $???? 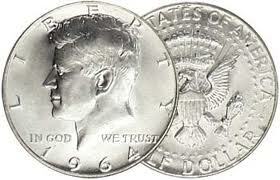 Half dollars dated prior to 1964 contain mostly silver, 90% in fact. Those dated between 1965 and 1970, still had a significant amount, 40% by most estimates. These can be sold for quite a bit of money depending on the silver spot price. How To Check These are really simple to check, if you have an old Silver Half Dollar dated before 1970 then it will have a valuable amount of silver in it. You’ll have struck gold (well silver) if you find a Silver Half Dollar dated before 1964 as they are 90% silver. Brought to you by AdvanceLoan.net, your online source for cash advance loans paid out fast.